Utilizing GORE-TEX product technology, the ROCLITE 325 GTX delivers the optimal combination of support with climate comfort and protection from the elements. 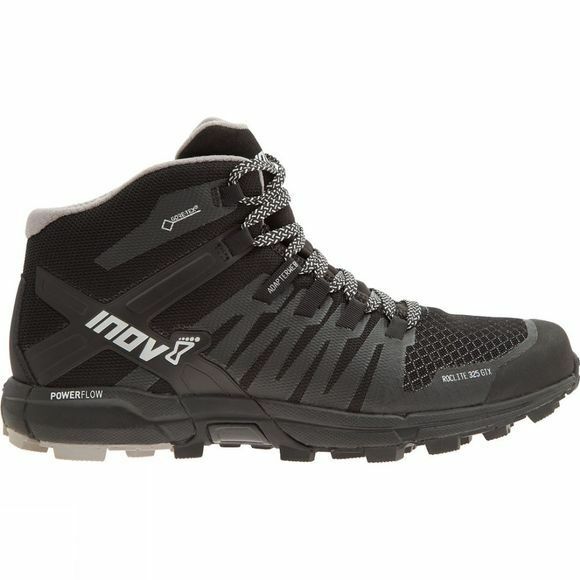 This ensures feet remain comfortable and dry no matter how wet and diverse the terrain is. Cushioned ride: A POWERFLOW midsole delivers 10% better shock absorption and 15% better energy return than standard midsoles. Get the perfect fit: Built around the natural anatomy of the foot, the new ADAPTERWEB met-cradle adapts to the natural movement and swelling of the foot in motion, while the External Heel Counter wraps around the rear of the shoe and heel provides support in the heel. 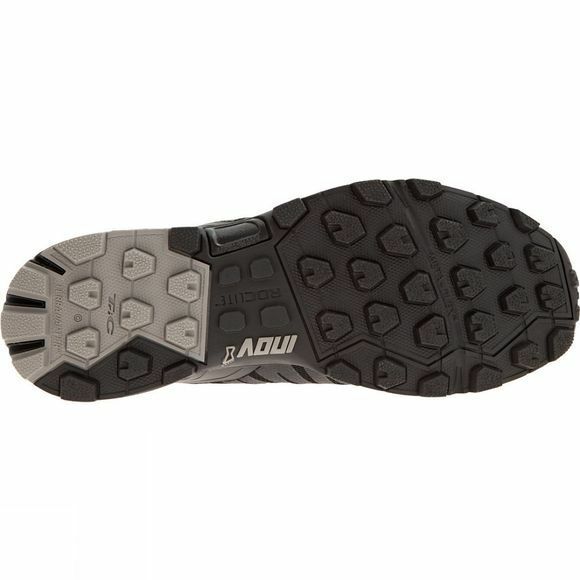 Stay protected: Second-generation META-PLATE is a rock plate that protects the underfoot from sharp rocks, while a strengthened rubber toe-cap shields the toes from obstructive debris. An integrated tongue gusset keeps all debris at bay.